Despite this quotation from one of her notebooks, Madeleine Dring was not born on the Moon. She was born in 1923 in London, where she also died in 1977. 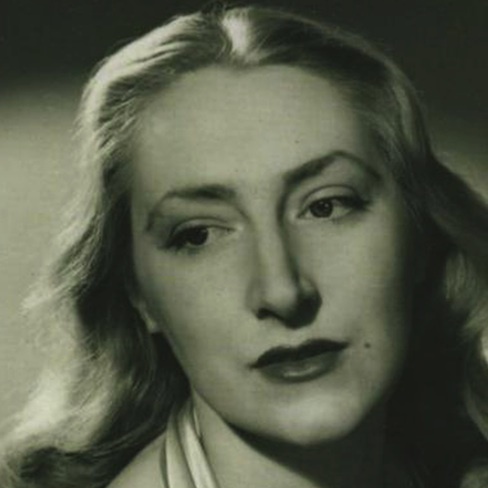 Her eclectic talent was undeniable: composer, singer, pianist, actress, writer, cartoonist, she loved the theatre passionately and wrote music for stage, film, radio, television, ballet and cabaret, often performing her own works. Born on the Moon is a multimedia project that Ecoensemble dedicates to Madeleine Dring, in which some of her most beautiful compositions are combined with texts and images from Madeleine's diaries, illustrated by herself. The multimedia project Zodiac - art, music and poetry is based on a composition of Karlheinz Stockhausen: Tierkreis (12 Melodies of the Star Signs). Tierkreis was written in 1975, and it's a cycle of 12 short pieces, one for each star sign. Each melody applies the characteristics of the star signs to the music, following the ancient belief that the position of each planet at the precise date and time of people's birth, give it a specific influence over their lives. 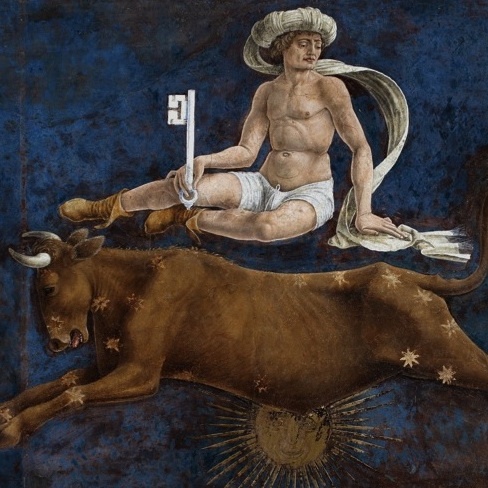 In Ecoensemble's version of Tierkreis, the music is combined with the wonderful images from the Sala dei Mesi (Room of the Months) of the Schifanoia Palace in Ferrara, frescoed by painters of the 15th Century, and with Stockhausen's poems on Zodiac. Histoire de Bilitis tells us the story of an imaginary ancient Greek woman poet, Bilitis, loosely based on the Chansons de Bilitis, a collection of poems written by the French poet Pierre Louÿs, and published in 1895 as translations from the ancient Greek. Accompanied by the original images created by the great Art Deco illustrator George Barbier, and following the archeologist-narrator's voice, we will go beyond the tomb, discovering the story of Bilitis, as told by herself. The first part of the story tell us the childhood of Blitis, who was born in the 6th Century b.C., and lived her early years as a little shepherdess, in a mountain village in Pamphylia. In the second part we find her at Mytilene, where she learned the art of poetry and of singing in rhythmic cadences. In the last part of the story Bilitis proceeded to Cyprus, where she restart her life for the third time, as a sacred courtesan. The music of Claude Debussy, contemporary and friend of Pierre Louÿs, lies at the very heart of the performance. An arrangement of Debussy's stage music for the Chansons de Bilitis has been written especially for this project. The musical arabesque recall the long hair of the young Bilitis, illusory, seductive and mysterious like her own life.